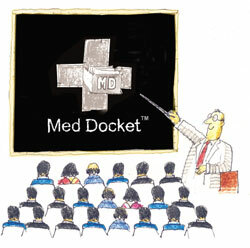 At Med Docket™ it is our sincere effort to provide our Members with useful and practical information on varied health topics. Our Medical team makes constant effort to assimilate the huge overload of information available on various disease conditions, so as to segregate, simplify and present in an easy-to-read-and-understand format. The topics chosen are such that they cater to the needs of our diverse Member profiles. We look forward to your comments on the topics as well as content and urge you to give us your feedback using the Contact Us page.